The Courier presents the Findlay Bicentennial Commemorative Edition. Celebrating 200 years of history and community in Findlay, Ohio. Thank you for visiting The Courier’s Findlay Bicenntenial Commemorative Edition of the 2012 Findlay Bicentennial! On this site you will find an online version of the printed Bicentennial Commemorative Edition, posted articles reflecting on past decades as well as video and photos throughout Findlay’s history. Please check back for continuous coverage of the Bicentennial celebration. At 176 years of progress, The Findlay Publishing Co. is the oldest operating business in town. As your community partner, we are honored that you have chosen us as your source for news and marketing in print, online, mobile and radio. It is our passion to provide accurate and relevant information in a timely manner to inform our communities and protect the public’s right to know for the next 200 years. 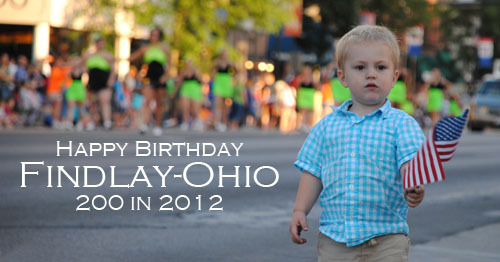 From our family to yours, Happy 200th Birthday Findlay Ohio!! The Heminger Family and staff at the Findlay Publishing Co. 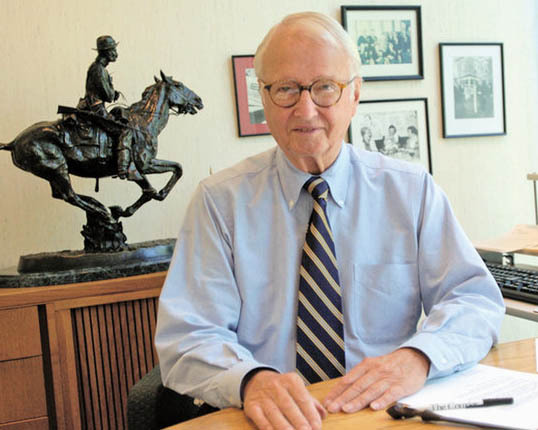 In remembrance of Ed Heminger (1926-2011) Chairman of the Board- Findlay Publishing Co.
“No one had a greater love for Findlay or made a greater contribution to its progress than Ed, and he will be sorely missed” –former U.S. Rep. Mike Oxley.